Diplomatico Planas is a white rum aged for 6 years before being filtered to find its purity. It is a rich and elegant rum. 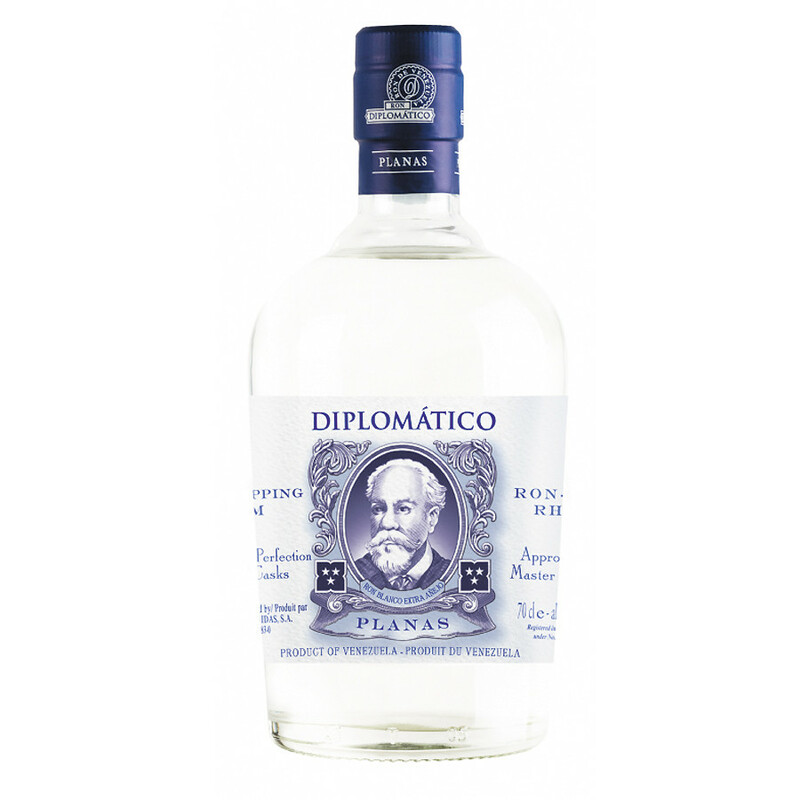 Despite its appearance, this white Rum Diplomatico Planas is a blend of rums aged 6 years in small casks. After aging, the rum has a golden colour with hints of honey. The final transparency is due to a filtration on coal bed made before bottling. Diplomatico Planas has the elegance of an old rum. It's 47 degrees. It is a rich rum with exotic and herbaceous notes of coffee, vanilla and fresh fruit. Colour: it is transparent and pure. Nose: it releases with power rich and herbaceous notes of coffee, fresh coconut. Palate: surprisingly, it is round and creamy with greedy notes of fresh fruit.